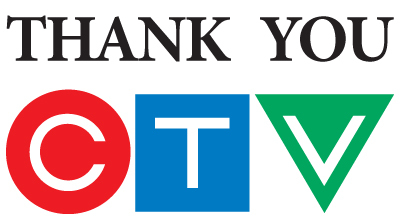 CTV London is deeply involved in our community, driven by its mandate for support of mental health. The Unity Project has enjoyed newsworthy engagement over the years, mobilized by savvy, skilled and supportive staff and brass. Our community partnership dates back to 2011, when the /A Channel, in those days, first joined as UPwithART Media Sponsor. Mandi Fields, CTV Community Relations, chaired the UPwithART committee. Mandi and Janice Zolf, then the Arts and Entertainment Editor, took a shine to UPwithART with its high calibre artists and the involvement of Unity Project residents in the event as artists, volunteers and guests. The residents of the Unity Project in turn took a shine to them, especially when the big media company behaved with great sensitivity while we were in the throes of grief over the loss of a much-loved participant. Over the years CTV’s involvement has been far reaching. Mandi Fields continues to rock our world. Tara Overholt returns as Master of Ceremonies. Scott Lightfoot produced a slideshow of photographs of Unity Project residents. Nick Scott produced a compelling and compassionate video to communicate Unity Project’s entire program. Each year CTV’s Laurence Simner produces a 30-sec advertisement for the event. Staffers Sasha Scott, Tania DeJonge and Doug Assis have contributed original art. Tom Green helps us set up and tear down and VP Don Mumford won’t miss the event!